The Langley Players Drama Club presents Dancing at Lughnasa until May 11. Thespians at the Langley Players Drama Club are presenting Brian Friel’s Dancing at Lughnasa until May 11. The show is a memory play set in 1936 in a fictional village called Ballybeg during the harvest festival of Lughnasa. Though comedic dialogue, dramatic moments and music, the play follows the story of the five unmarried Mundy sisters and their brother – a priest who has returned from a 25-year missionary posting in Africa. “A narrator is reflecting on a pivotal moment in his life, as well as a pivotal moment in the history if Ireland,” elaborated Andrew Wood, an actor in the show. 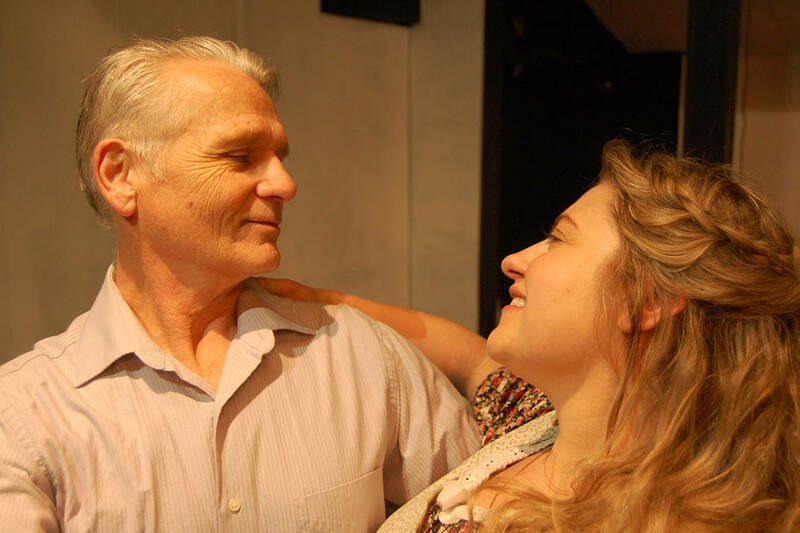 Wood has been acting in community theatre since the fall of 2010, and he plays the role of a Welshman named Gerry Evans in Dancing at Lughnasa. And fortunately for Wood, his favourite moments in the play are when he gets to dance. He also added that dancing is part of the challenge. “I think the greatest challenge has been to simultaneously sing, dance, and listen for cues from scene partners. Also, the Welsh accent is a difficult one to achieve,” Wood added. According to Wood, there are many things to like about the play. In the past, Wood has also performed with the Vagabond Players in New Westminster, Opening Nite Theatre Society in Mission, White Rock Players, Penninsula Players, Surrey Little Theatre, and Bard in the Valley in Langley. Despite taking place more than 70 years ago, director Helen Embury said the play is somewhat similar to current times. Dancing at Lughnasa runs until May 11th at the Langley Playhouse at 4307 200th Street in Brookswood. Show times are at 8 p.m. Thursday to Saturday, with 2 p.m. matinees on Sunday.